As the Nordic authorized sales and service partner for Baker Hughes, a GE company, VMS Group offers high-performance gearing solutions, including parallel shaft, right-angle, epicyclic or integral configurations — adapted to your business. In cooperation with Baker Hughes, a GE Company, VMS group offers custom engineered marine gear drives to your exact requirements. Reverse rotation and straight reduction marine gears can typically be designed, manufactured and delivered within 34-36 weeks. This will enable operators to get their boats in operation months sooner. To meet the highest performance and durability standards, we precision engineer our gear drives using only the highest quality materials. In their portfolio BHGE has added the technology and expertise of the well-known brands Lufkin Power Transmission and Allen Gears. The Lufkin power transmissions are of high quality and reliability, providing customers with the most cost-effective, dependable and timely solutions for critical propulsion applications. As a cost-effective solution to repair costs and replacement problems, the Lufkin Drop-in Marine Gear will fit common foundation hole patterns or can be modified to fit any application. In most cases no structural changes are required. 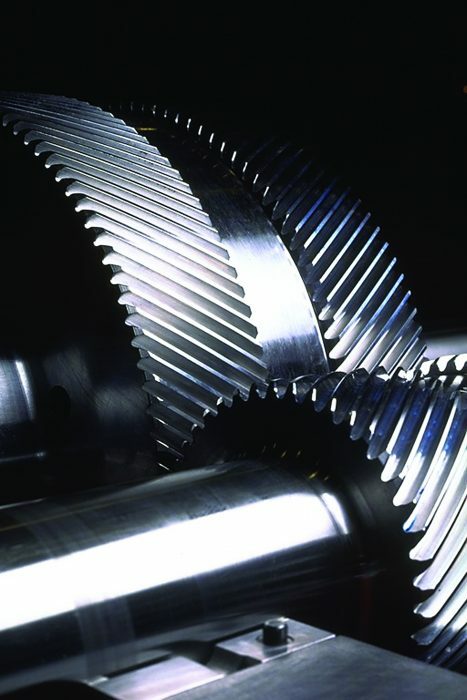 Allen Gears produce high-speed, high-power gearing solutions specializing in “epicyclic” gears that are lighter, more compact and typically have a higher power density than more traditional parallel shaft gear systems. Allen Gear products can be found in demanding applications on board many navy vessels around the world. Our products meet the stringent requirements for noise and vibration while also meeting navy shock proof requirements. Epicyclic gears can be used in marine application to provide smaller footprint and can also be used in combination with parallel shaft gears to provide large ratio reductions to minimise both footprint and weight.